This active and reflective Circle of Trust® program is open to men of all ages. The human journey is ultimately a return to who we are. 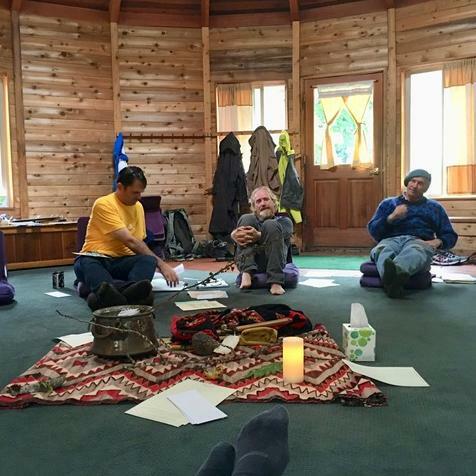 In large group, small group and solitary settings, the journey of returning to our selves is explored, using the personal stories of men, poetry and stories from wisdom traditions and time in the natural world. We co-create a trustworthy circle in which we can listen to each other with courage and compassion. Within a safe space and as we rest, hike, contemplate and converse, our own voice can be heard: wisdom arises to guide us how to return to our selves. Jeff Creswell is a Courage & Renewal facilitator mentored by activist and writer Parker J. Palmer. Jeff has been an elementary school teacher in Portland for decades, and is an educational consultant for the Storyline methodology, developed in Scotland. Anthony Arendt is an earth scientist at the University of Washington in Seattle. He is co-hosting the retreat having been a part of several Courage and Renewal experiences. This will be his second time co-hosting the men’s retreat.